Seven breweries and seven restaurants are teaming up for the 4th Annual The Pig & The Pint, which will take place at the Sanctuary Events Center in downtown Fargo on Thursday, November 8. The Pig & The Pint is presented by Bernie’s Wines & Liquors who also presents the annual Bacon & Beer Festival, which is held in March and recently moved from Scheels Arena to the Fargodome. What separates The Pig & The Pint from the Bacon & Beer Festival is the VIP experience that comes with The Pig & The Pint. Only 200 tickets are sold for the exclusive event and participating restaurants and breweries roll out the red carpet for their guests. 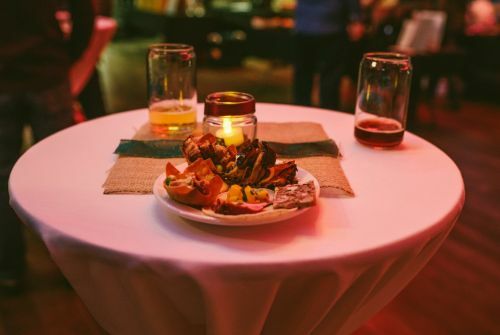 Guests are able to sample dishes and beer from all the restaurants and breweries while enjoying live music. This year’s performer will be Pat Lenertz who will be performing an acoustic set. 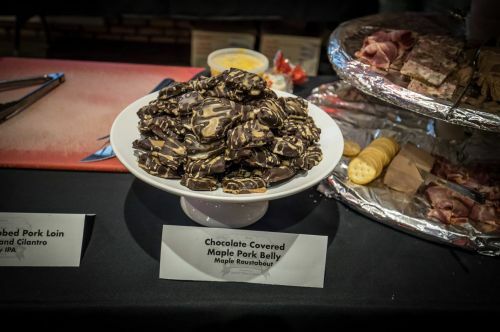 The Pig & The Pint pairs up the breweries and restaurants to create a one-of-a-kind culinary experience for their VIP guests by combining their talents and collaborating on complimentary dishes and specialty beer. The participating restaurants create recipes ahead of time. They will then receive half a hog from North Dakota State University’s meat lab a week prior to the event and ingredients for their dishes are supplemented by U.S. Foods. Driscoll says some of the dishes available at this year’s event are – Korean carnitas with pineapple kimchi from Luna Fargo and pulled pork sliders from Big J’s Smokehouse. Once the restaurants have created their recipes, the breweries will brew specialty beer to go with the dish or make special infusions to add to one of their existing beers. The idea is for the dish and beer to combine for a great culinary partnership. Driscoll says that what really makes this event unique is that patrons get a sense of local breweries and restaurants collaborating on culinary creative suds and swine pairings for everyone to enjoy. She also noted that on tap at this year’s The Pig & The Pint is a fall favorite – pumpkin spice specialty beer from Drumconrath Brewing Company. This is the fourth year for The Pig & The Pint and also the largest so far. Driscoll says the event keeps getting bigger and that this is the first year that all restaurants have been able to pair with their own brewery. Driscoll says planning for the event usually begins in July and is spearheaded by two members of the Events Team – Courtney Ficek and Alex Stock. Ficek is Jade Presents’ national director of events, and Stock serves as event coordinator. Together they take the lead and try to have all participants for the event in place by August. At that point they are able to begin promoting the event. Tickets for The Pig & The Pint start at $60 per person. Along with the exclusive VIP experience and unlimited sampling of food and beer, guests will also take home their own The Pig & The Pint pint glass. Driscoll says there are tickets still available, but those wishing to attend should get them soon because they do go fast. Tickets for this 21 and up event are available online at baconandbeerfargo.com, jadepresents.com, or tickets300.com, or by calling 866-300-8300.